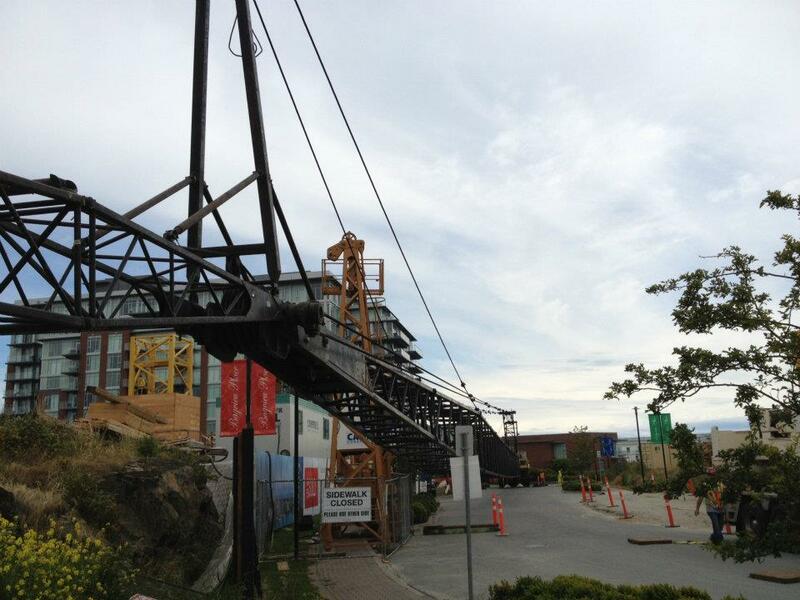 It’s been a while since we’ve updated you about Promontory at Bayview Place by Bosa Properties, but we think these awesome crane pics were worth the wait. 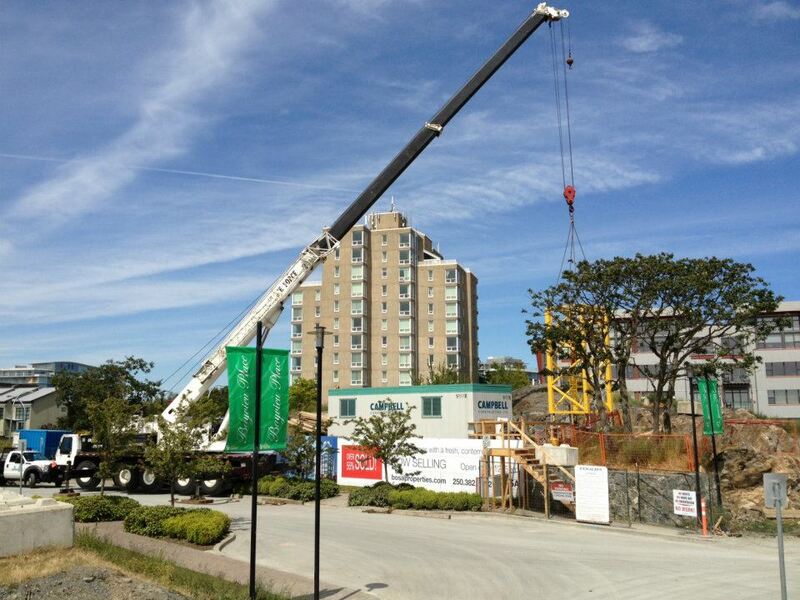 Construction on Bosa Properties‘ inaugural project in Victoria is already underway. 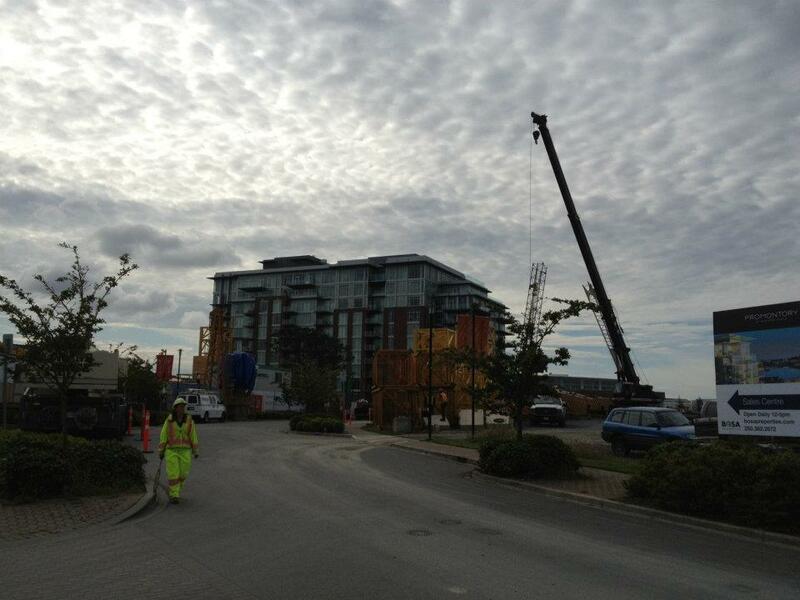 At 21 storeys high, Promontory will be Victoria’s tallest tower. 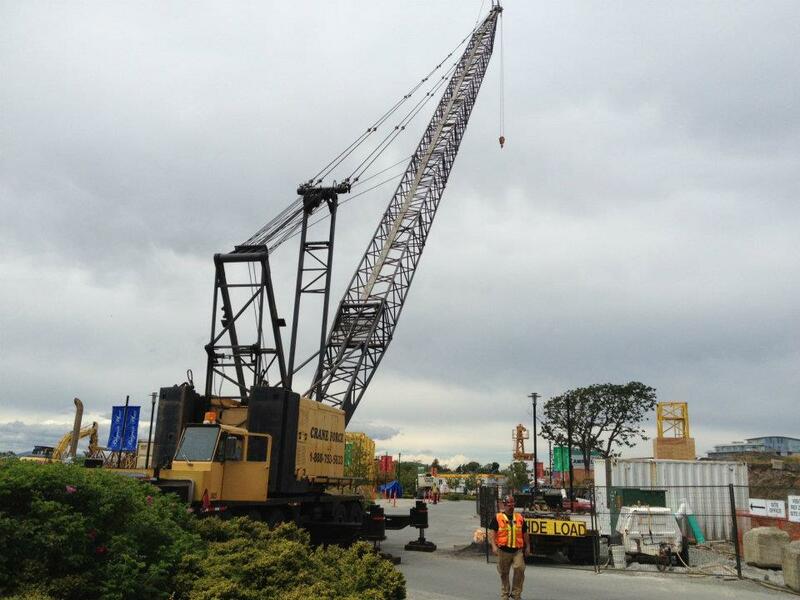 To build a tall tower requires a tall crane, and Promontory‘s impressive crane definitely fits this description. 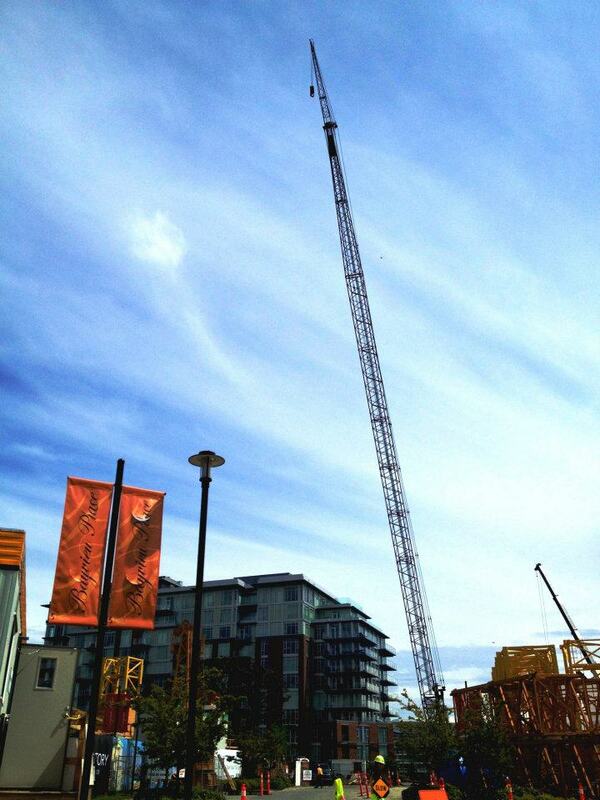 The Crane is 349 feet above see level and the boom is a whopping 230 feet long. The crane’s anchors are 36 feet deep in rock, and it will be fully operational by July 5th. For more information call 250 382 2672 or email promontory@bosaproperties.com. The sales centre is open daily between noon and 5pm and is located at 80 Saghalie Road.